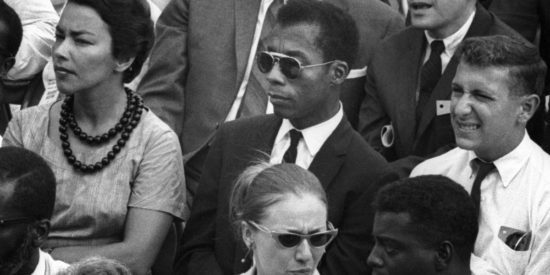 When the credits roll on respected Haitian filmmaker Raul Peck’s powerful new documentary you will notice that the screenwriter listed is in fact the late author and social critic James Baldwin himself. This memoir/semi-biography of this great African/American man of letters which links the ideas of three assassinated leaders uses only prose lifted from directly from Baldwin’s texts or letters which are read with a mixture of passion and dignity by the actor Samuel L Jackson. queerguru reviews for P.T.V. the documentary that the NY Times declared was one of the best movies of the year, and we kind of agree.